A little over a year ago I got the idea to start streaming my gameplay online for any and all who cared to watch. A friend of mine had been streaming gameplay for a while and I just thought “hey, why not give it a shot?” At the time I wanted to make Let’s Play videos to post on YouTube but felt that I would have a harder time since I like to talk a lot and the best Let’s Play videos seem to be more informative with less random chatter. All in all, the idea of streaming was sprouted in my head and from there it took off, with a little help from the friend I mentioned before. Since I began streaming I have grown more and more successful in the terms of fanbase. I have acquired quite a few new friends who are now loyal followers that I enjoy having around at my streams. For some, my streams may be small time – only 10-20 viewers on an average night – but considering I am not sponsored and am running the show alone, I like it think it’s pretty good. I have often been asked what it is that I do to make my streams so consistent and successful, and that’s where this article comes in. In three easy steps I plan on detailing what I personally find makes a successful stream/streamer in hopes of inspiring anyone who cares to start-up a stream of their own. Good equipment is very important. You don’t need top-o-the-line, high-grade stuff necessarily but it does help to have something that will provide your viewers with a quality viewing experience. Quality is a big deal, streaming in any resolution below 480p will make the stream look very blurry and poor in quality which may deter some people from sticking around your channel. The sad truth is that some potential viewers are picky with quality and when there are streams out there in 720p and 1080i, your 320p stream will look sub-par at best to them. What I always recommend is a good PVR (personal video recorder) to channel your streams through. 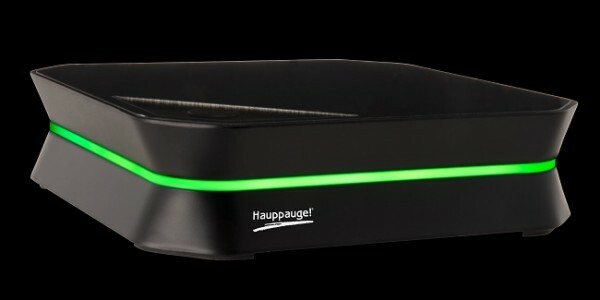 I use a Hauppauge HD PVR Gaming Edition, and it works great. PVR’s tend to run a little on the expensive side and this one is no different, but it’s totally worth it if you want to get serious about streaming or even recording gameplay. It basically connects your console to your computer then the software it comes with will make it so that you can see and hear your game on the computer, thus making the streaming through OBS (Open Broadcasting Software) or XSplit from your console a possibility. I use XSplit but would recommend OBS. It’s a little harder to set up, but it offers much better quality than XSplit does and it’s totally free. XSplit does have a free version, but there are restrictions unless you pay for the upgraded version. It’s also important to use a good headset. You wont need anything expensive or super high quality, I usually use a Logitech USB H390 headset which is relatively inexpensive and it works just fine. On occasion I use my Turtle Beach PX22 headset as well, which is slightly more expensive but makes the sound better on my end. Both work just fine, even cheaper options would work, as long as you aren’t relying on a webcam microphone or built-in laptop microphone then you should be fine. All of this comes together to make a stream look and sound nice. Remember that even if you are doing the lowest quality (480p) and using a cheaper PVR/mic the stream can still be great. Don’t feel obligated to spend your life savings on stream equipment. Top quality stuff is nice, but even lower quality equipment is perfectly fine. Presence is a big part of streaming. Being silent or uninvolved will ruin a stream in minutes. When you watch a video on YouTube you don’t expect to be able to share your knowledge or communicate with the person recording or others watching, right? Streaming is the opposite. You should be able to talk while streaming and communicate with your viewers, that is what makes watching your streams worthwhile. If talking to your viewers while playing seems like something you cannot do, I suggest that you makes Let’s Play videos as opposed to streaming. Your presence on your stream is very important. There are four inner steps to presence: entertainment value, involving viewers, being yourself, and remaining consistent. Entertainment value refers to you, the streamer, attempting to be entertaining. You shouldn’t have to go out of your way, but making jokes here and there or just keeping up conversation will help you tremendously. 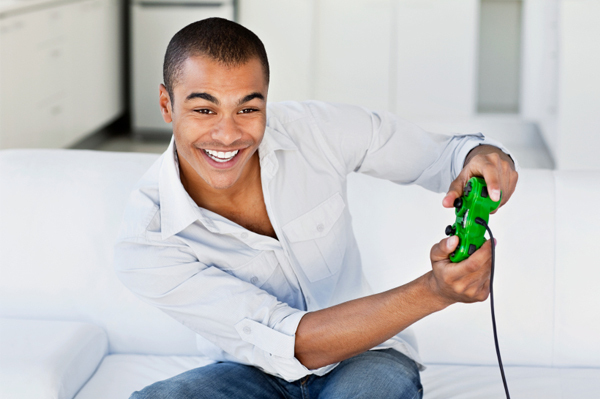 People like to have fun and laugh, so help your viewers do those things with your natural entertaining talent. This segues into the involving viewers step. It’s very important to communicate with your viewers, a point I made previously. They will have questions for you or will make comments to which they’d like your response and it’s imperative that you keep up that communication with them, remember that you can talk and they can’t. It’s harder for them to communicate than it is for you, so put yourself out there a little. They want to hear your voice and have fun with you, not sit in silence while you play a game. The next step is to be yourself. I know that this one sounds like a step for a child learning to socialize, but it’s key to be who you are and be natural when you are streaming. Don’t be someone you aren’t just to get viewers or make a person continue to come back. Be honest with your viewers and make sure they know the real you, I’m sure they’d like to hang out more with that person and not a fake internet personality. Not only is being fake hard to keep up with, it’s not a good way to make real friends. The last step is to remain consistent, by this I mean schedule-wise. You don’t have to stream every day of the week, but keeping a consistent schedule will make it easier for your followers to continue to support you. If you stream here and there or only a couple of times a month it will be super hard for your viewers to stay interested, especially if they don’t know when those streams are. I personally try to stream four days out of the week. Since those days differ, it’s a good idea to have a schedule posted somewhere online. There are plenty of free blog services that you can utilize for an online schedule or you can post it on your stream channel. Step 3: Have Fun, Damn It! I’m sure this step sounds obvious, but I cannot tell you how many times I have come across a stream that is borderline uncomfortable because the streamer is not having any fun and then left immediately. This can be done in various ways on the stream that are somewhat individualized so I will share what I do to have fun while streaming, you can follow these or come up with some of your own. The first thing I do is play games I want to play. Nothing kills the mood faster than when you play something you hate just to play it. Streaming or not, that’s just not fun. I also like to involve my viewers in a more in-depth way than described in Step Two. I like to start friendly debates, talk about news, and just have conversations with my viewers about whatever comes to mind. Not everything has to be about the game you are playing or even video games in general. I might talk about what I’ve been up to outside of streaming or what my weekend plans are. It makes your connection to the viewers more personal and you will get to know them as they get to know you. The last key thing I do to have fun while streaming is to make the stream an appropriate length for myself. I usually stream for anywhere between two and three hours, which is perfect for me. Some streamers prefer to stream for longer periods of time, others for shorter periods of time. Do whatever you are comfortable with, if you aren’t streaming for long enough or are online for way too long you will lose your momentum and it will be difficult to continue having fun. The “have fun” step is probably the most important step because if you aren’t having any fun with streaming, you probably shouldn’t do it. If it turns into a stressful experience or just isn’t enjoyable anymore then take a break or quit all together. You are the one hosting it, so don’t forget that your happiness comes first. I hope that all of this was helpful to any of you that are considering starting a gameplay stream or want to make your current streams more successful. I am in no way a “professional” but I know a thing or two and hope that the knowledge I imparted was useful. If you have any questions for me or would like more tips/further explanation then be sure to contact me! You can either comment below or message me on Twitter/Facebook. You may also email me (linksaveszelda1@gmail.com) or contact me on Skype (calliope03). I’d love to help in any way I can or provide you with more information. Streaming is all about the experience, it’s a way to make friends and communicate with individuals from around the world who have come together to watch you play a game. I touched on it a little before but to reiterate – do not forget that you are the most important person when it comes to streaming. You are the one taking time out of your life to host the stream, you are the one who (possibly) spent your own money to make the stream possible, and you are the one who is there 100% of the time. If you don’t feel right or are coming across difficulties, then stop the stream and figure your stuff out. You should never feel obligated to stream or feel bad when you can’t stream. You are in total control, don’t forget that. I stream my gameplay over on my Twitch.tv channel. There are various places in which you can stream such as Twitch,tv or UStream, but it’s all personal preference. Pick a place that you as a stream prefer and go from there. Again, if you’d like any assistance with starting a stream or just have questions about how you would start I’d love to help. Drop me a line anytime or drop by my streams, my schedules are posted weekly here on linksaveszelda and can also be found on Twitter and Facebook. Happy streaming! Good tools always improve performance. This is such a great starter guide Lady! If you like to talk a lot in your videos then you should definitely check out some tools to reduce game volume when you talk. Auto-Duck in Real Time is created just for this and you could use it in live streams!